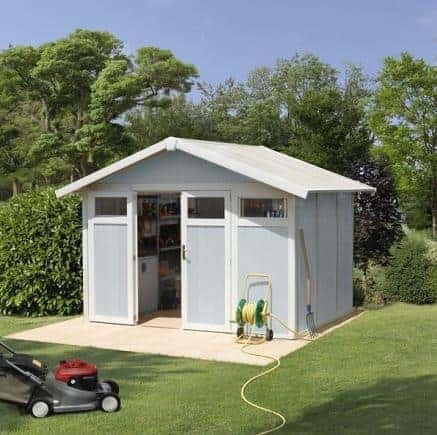 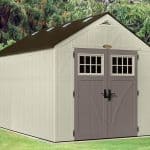 This PVC shed stands at 10’ x 8’ and is completely maintenance-free. 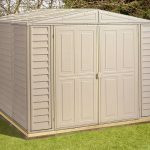 The PVC that surrounds it is also UV resistant, so you have the added benefit of a safe and secure building in the rays of the sun. 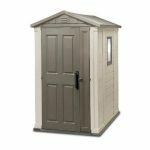 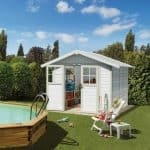 A wide door opening distinguishes this shed from others of its size, and there is a low steel door threshold to make it even easier to enter. 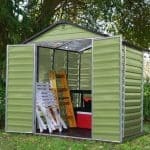 What is very pleasing to see is that the thickness of the walls measures 26 mm. 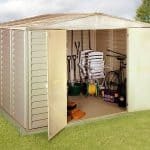 This makes for a very robust and warm building, which will help in the winter.